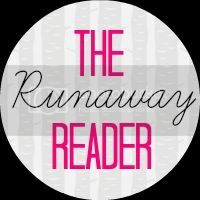 Today, Annie from The Runaway Reader, is gracing us with her presence!! Fantastic, isn't it? Anyhow Annie is an AMAZING book blogger who has recently just started a completely new blog! I have to say that I think it's fabulous! And everyone should go and check it out! So below is my interview with Annie! As always my questions are in black her answers will be in blue and my responses will be in dark green! Favorite Genres: Contemporary, historical fiction, mystery and fantasy! Favorite color? Blue all the way! What grade are you in? and or what’s your age? I’m currently a freshman at my high school and thirteen years old (soon to be fourteen). I’ve been blogging for quite a while actually, since 2010 but I only started book blogging last year. It was during the summer and I was bored out of my mind so I decided to start a book blog after seeing some online. I didn’t really take it too seriously at the moment so I didn’t put too much care into it the first few months. This was why I was very unhappy with Random Reads and eventually, I moved to a new blog! And right now, I couldn’t be happier with The Runaway Reader! Yes, there are! Shout outs to Shelly at Shelly Rambles, Emily at Forever Literary, and Lesley at Book and Beautiful World. They’re all wonderful and full of personality. I highly recommend them! But I think the key is that I’ve never been too strict about my blogging. I don’t make myself feel bad if I miss a day. It is a hobby, after all and while it makes sense to want to be on top of your game all the time, it just isn’t possible. So when I need to take a step back, I do it. And that really helps me juggle school and blogging because I know I am not tied to my blog and can make the time to do something else if I need to. I don’t know if there’s a better candidate to test my imagination than you! So here goes: Once upon a time there was a girl named Cal. She lived at the top of a tall tower. It was five thousand stories tall and being someone who was scared of heights, Cal would never dare to come down. But one day, a little bird tapped on her windowpane and said that it would help her come down if in exchange, Cal would give her one of the gorgeous books on her bookshelf. This made Cal rather uneasy because she treasured those books! But Cal and the bird struck up a deal that the little bird could borrow any book it could ever want if it would bring an object from the world Cal never got to see each day. The first day, the bird brought Cal a computer and on it, she found a slew of amazing things on the Internet like book blogs! And because she loved books so much, Cal decided she would start one of her own and it’s been growing ever since with the help of the little bird. It seems to me that the dog trainer is actually the person in control and because I do like power, I would go with the dog trainer. Also, I love dogs so that’s a bonus. As to whether I’m going to help the rebels or the evil leader…well, what’s in it for me? Okay I have to admit that as much as I LOVED your old blog….THE NEW ONE IS SO PRETTY! And it seems to fit you a bit better!! This is such an exciting change! What was it like creating a new book blog and “retiring” Random Reads? It’s definitely such a cool NEW idea! Aww, thank you Cal! That means a lot! It has been very exciting and I honestly couldn’t be happier with the result! Moving was rather scary at first because starting fresh always is. There were so many questions I had about what would happen when I did move but eventually, I realized that it was for the best. While I’m a little sad seeing Random Reads go, I’m way too proud of The Runaway Reader to think about it too much! 7.) Okay, say that a letter from Harry Potter magically appeared in your inbox…. How would you feel to find out that you’re a witch? Would you take a rat, cat or, toad with you? And more importantly would you be willing to stick me in your suitcase and let me tag along? I would be ECSTATIC. Like, come on, who doesn’t want to get an opportunity to attend Hogwarts? I’ve been dreaming about going since I was eight! And since I’m more of a cat person than a rat or a toad person, I would probably bring a cat with me. It could be besties with Crookshanks! And Cal, did you even need to ask? Of course I would bring you along! The more, the merrier! 8.) Okay, while stalking browsing your blog, I saw that you like Mars Bars and Frappuccinos… Would you say that’s your favorite snack while reading… or is it something else? I do love Mars Bars and Frappuccinos but neither of them are very appropriate for reading (especially the Frappuccinos, they’re so expensive!). I usually opt for a peach or some grapes and a glass of iced water when I’m drinking. Sometimes, a bowl of chips (always sour cream and onion) if I want something with a bit more sustenance. 9.) You’ve been blogging for a while now, right? Have you seen things change in the blogging world? It is weird to think that you’ve been blogging SO LONG? I’ve been blogging for over a year now and it is VERY weird to think that I’ve been doing it for so long. It never would have occurred to me that I would still love it after a year. I have a very short attention span and I get distracted very easily so when I started, I estimated that Random Reads would last for two months, tops so the fact that it’s been over a year is unreal. I didn’t really pay attention to the blogosphere when I started blogging so I can’t offer a very accurate comparison of then and now but for starters, book vlogs are getting very popular which is really exciting for me to see because I do love watching vlogs and the idea that that could be a new medium for book blogging is so cool! 10.) If you had the choice of whether to have a one year supply of books excluding your most anticipated release OR getting your most anticipated release a year early, what would you pick? Definitely the former. I mean, I’m pretty darn excited for Isla and the Happily Ever After but there are bound to be other books I LOVE in that one year supply of books if only I gave them a chance. Also, my bookshelves are looking rather bare after my cleanup so it might be good if I actually had some books in them. I do like Canada! It’s a very nice place to live and our bookstores are great. I guess the biggest thing is that Canadians, similar to International bloggers, may not get the same ARCs that are available to American bloggers. There might also be less author events which is disappointing for me because there are so many authors I would love to meet! But other than that, I don’t think there’s anything different between blogging in Canada and other places. Then again, I wouldn’t know because I have only blogged in Canada! 12.) Back to the new blog for a sec! Why did you pick The Runaway Reader as your name! I personally LOVE it! How did you come up with it? Yay, I’m so glad you like it! I have to say that The Runaway Reader came rather randomly. I was stuck for a name so I just flipped to a random page in the dictionary and found the word ‘runaway’. I thought an alliteration would be fun, like what I did with Random Reads so I decided to have one for my name again. Any teen blogging friends or inspiration you want to give a shout out to? Well, first of all, you because you’re so kind and friendly and creative. Then, I have to send a shout out to my fellow Canadian blogger, Shelly from Shelly’s Rambles and Jasmine at Flip That Page who inspires me to test my creativity every day. And the girls at Lip Up Review, Leigh at Little Book Star, Arial at In Italics, and so many more! Teen bloggers are the best! Scary books or not scary books Both! YAY!! Thanks so much Annie for agreeing to do this! I had such a fun time doing the questions and reading your answers! You are a ton of fun!! SO EVERYONE!!! Isn't Annie awesome! You should go and check out her blog and talk to her! She really is super cool! YOU CAN FIND HER HERE! !